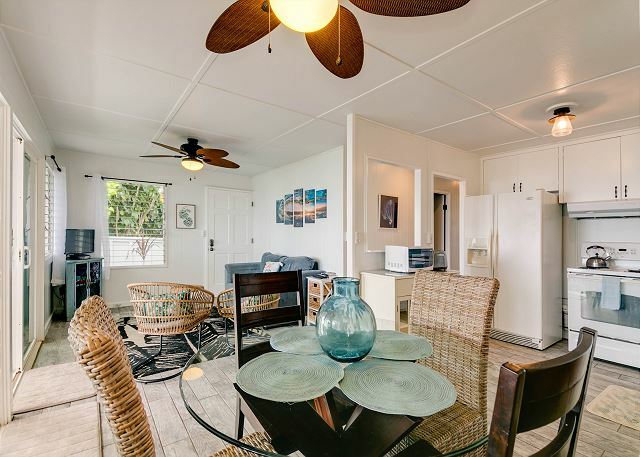 Happy & Immaculate Beachfront Bungalow on North Shore | $195 - $295 Specials! 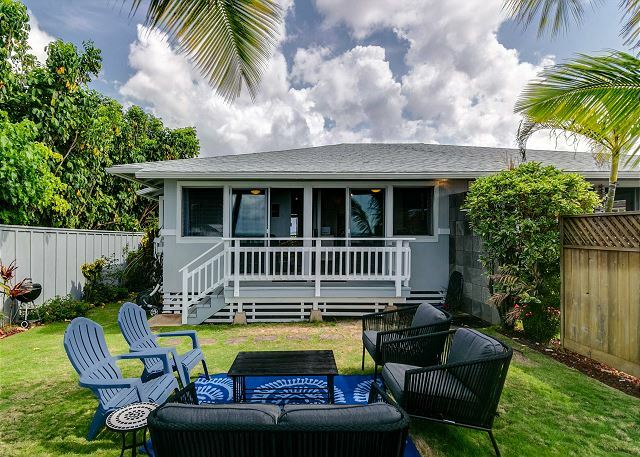 Sunny beach bungalow with stunning ocean views, with AC in all bedrooms! 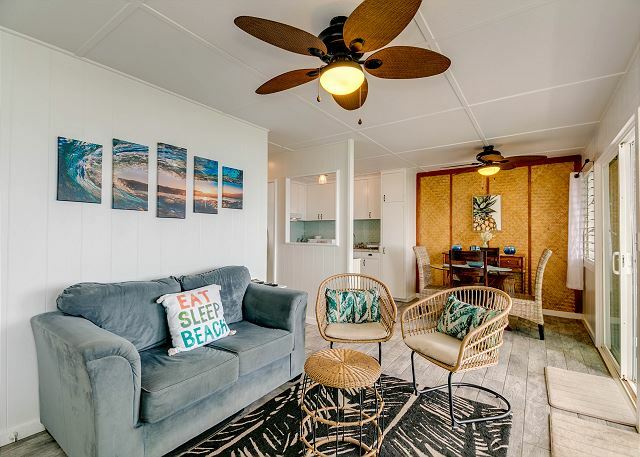 Eden by the Sea has three bedrooms, one bathroom, a fully stocked kitchen, and a private beachfront yard with plenty of spots for dining and relaxing. 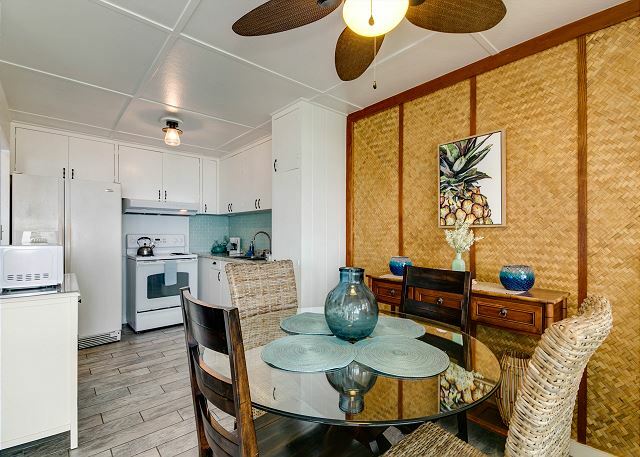 This happy little home is being updated with stylish island decor. Photos showcasing all updates coming June! 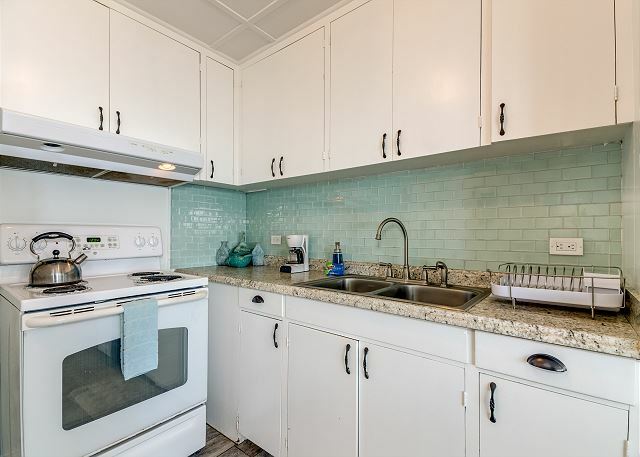 Amenities include outdoor shower, bbq grill, Wi-Fi throughout, Cable TV's in living room and 2 bedrooms, private washer and dryer, and off street parking. 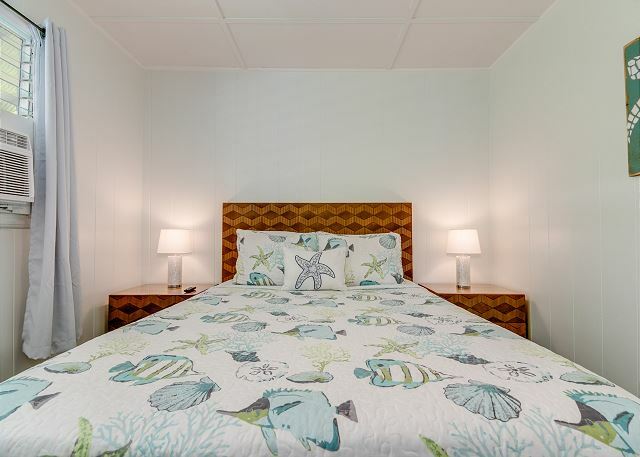 This home sleeps a maximum of 6 guests; please see below for a detailed description of the bedrooms. Other things to note: The home is one half of a duplex, both halves are rentals but each feels completely private. 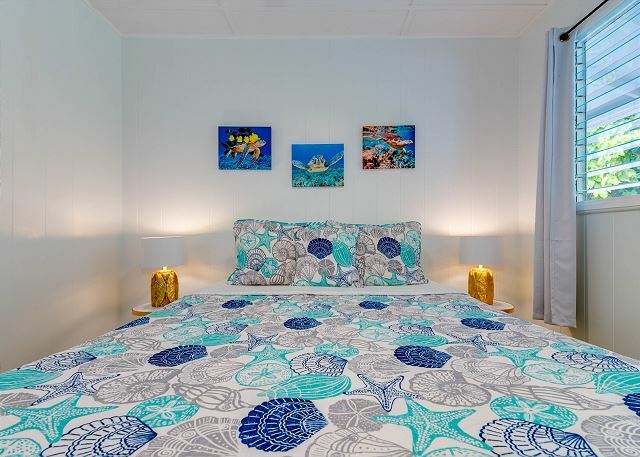 The units can be rented together to create a 6 bedroom, 2 bathroom home. 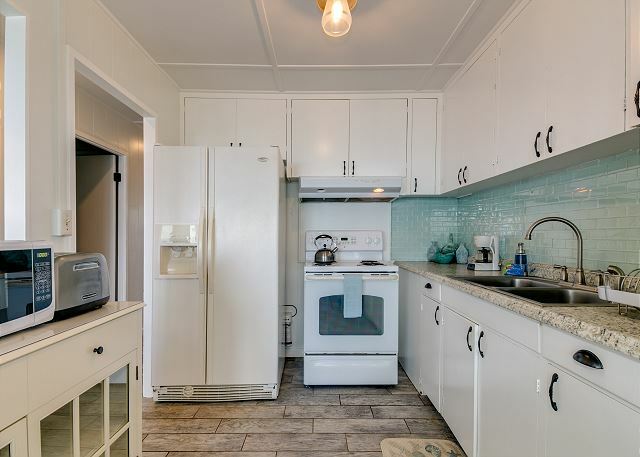 Parking, yard space and laundry are private and separate. 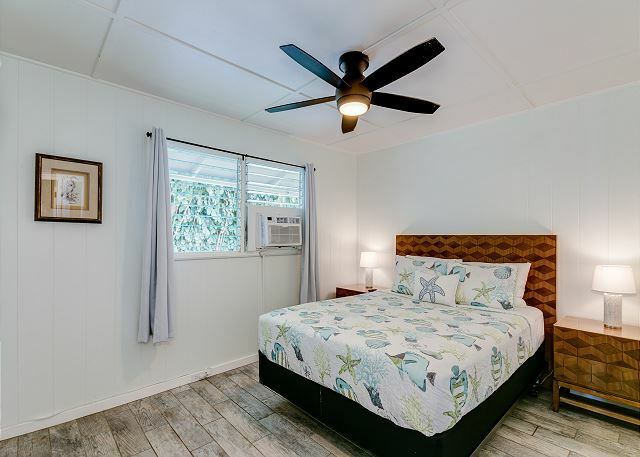 AC units in bedrooms only, fans throughout home. Pack n plays, cribs and kids beds can be rented and delivered. Perfect on the beach house. 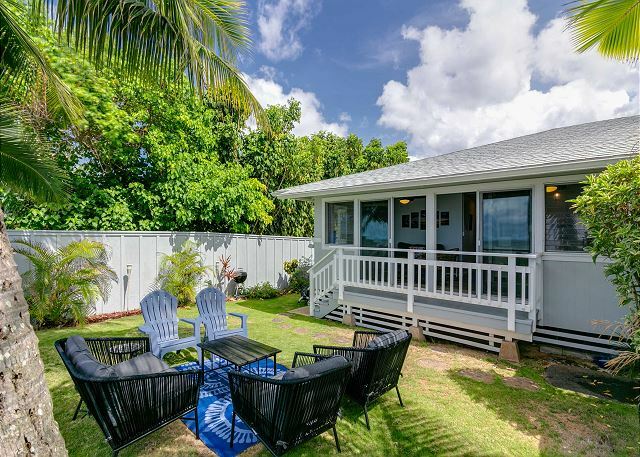 Calm neighborhood, beautiful long beach, close to Haleiwa and all the north shore spots. 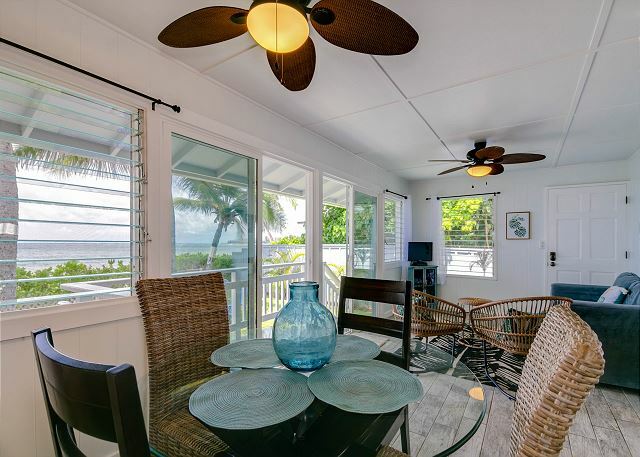 The house has everything you need, inside and out. Manager Response: Thank you for staying with us, and for taking the time to write a review! 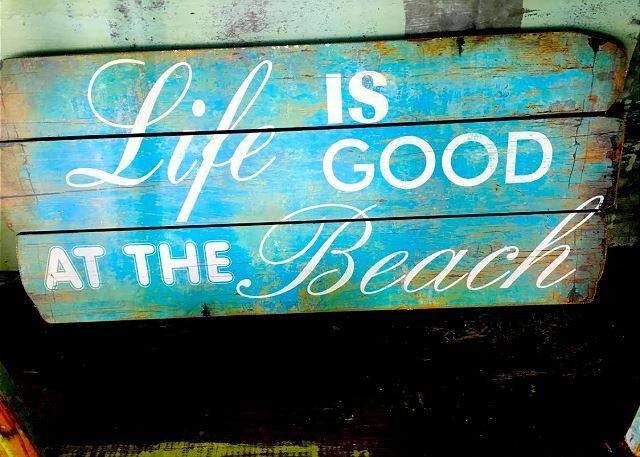 We are so happy your family enjoyed themselves here. 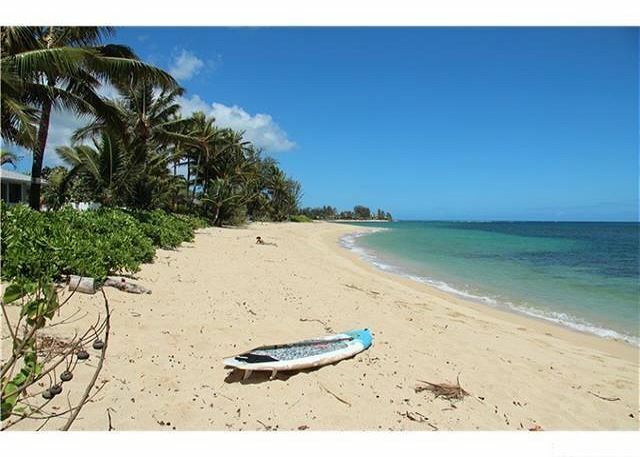 We like the location, we were 7 minutes from Haleiwa and 25 minutes from Mililani. 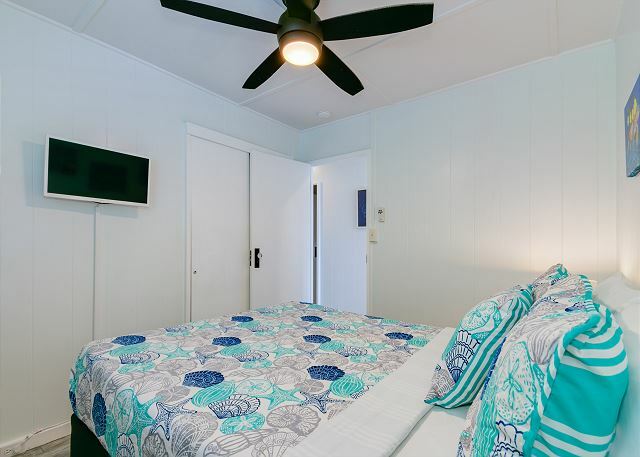 The Bungalow access and Hospitality app was easy to use. The call center for help was quick and very responsive. We did have to move a lot of breakables to the top of the fridge. We have a 13 month old so the décor was nice but moved out of view for safe keeping. We didn't like the black mold we found in some of the shelfs at the front door table so we move those to a closet away from us and baby. Other than that the place was pleasing and we would gladly stay here again. 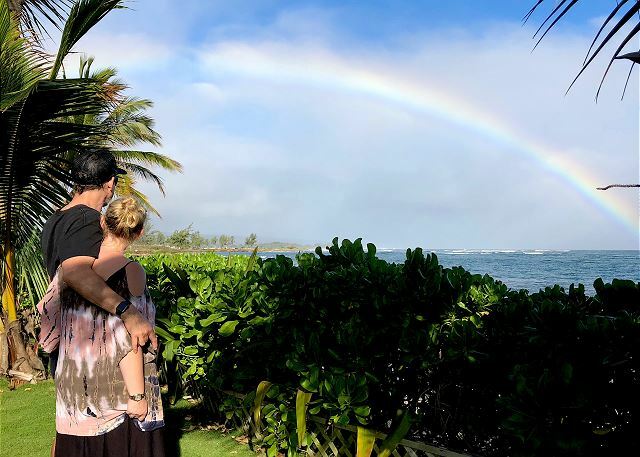 It was perfect for my husband and I for a staycation with our kids. My daughter even brought two friends with her and they made friends with the neighbors and played with their dogs. Manager Response: Thank you so much for staying with us, Ging Family! We are very sorry for the mold you discovered at the table near the front door. We have experienced abnormal weather conditions this year and have learned that mold can appear almost overnight during a storm. However, this should have been found and dealt with during our pre check-in inspection. Our cleaning crew is looking out vigilantly for signs of mold moving forward. Thank you again for staying with us, you were awesome guests and we look forward to seeing you again soon! 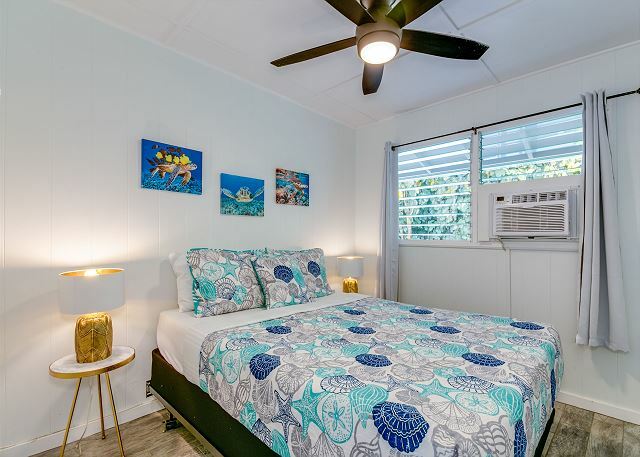 Our family of 5 stayed in this well located North Shore beachfront cottage for 9 nights in January 2019. 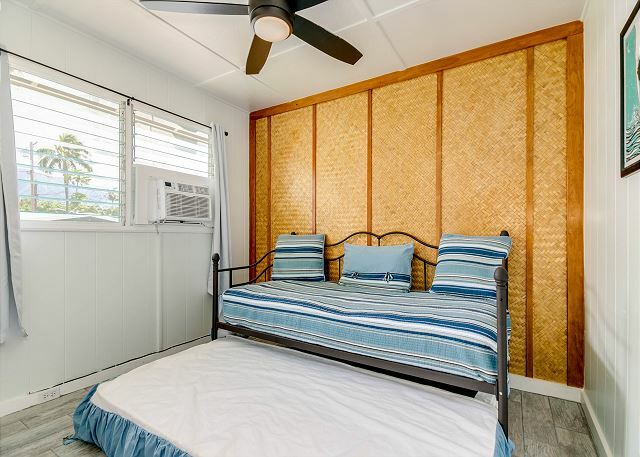 The home is clean with 3 nice sized bedrooms each with a window air conditioning unit. 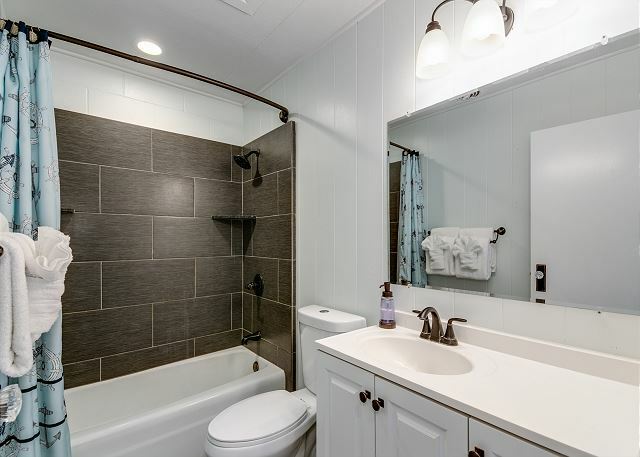 There is only one bathroom with tub/shower. 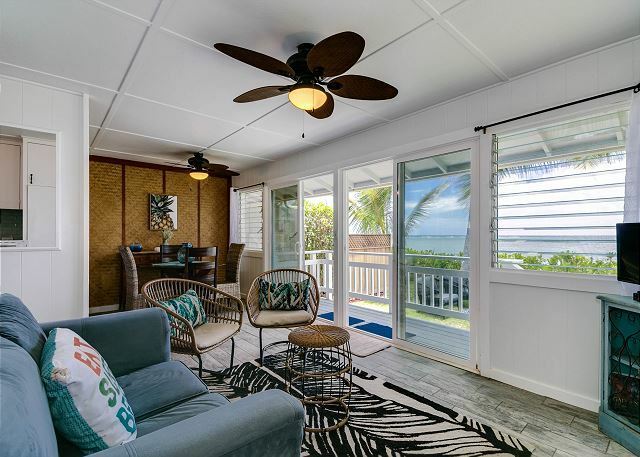 The front porch is small but still has room for a couple chairs, and offers a great view of the ocean and beach. 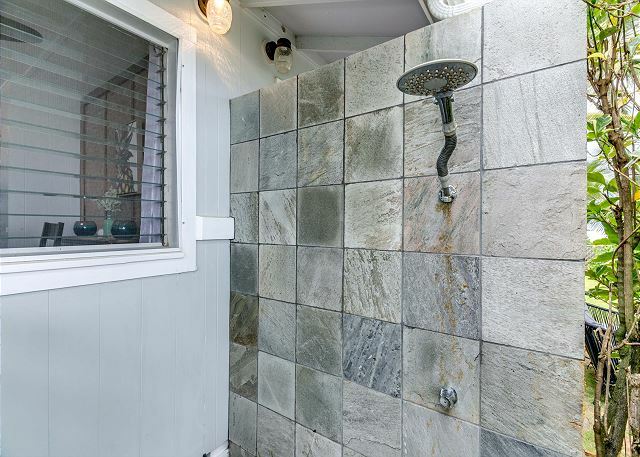 Yard is private with an outdoor shower and a privacy fence and shrubs to separate your yard from the other side of this duplex home. The basic equipment is available in the kitchen, including toaster, microwave, blender, coffee marker cutlery, plates etc. Anything other then hard utensils like salt,pepper, cooking oil, plastic wrap, tin foil, ketchup, mustard etc. You will need to buy at the local grocery store a short drive away. Towels, toilet tissue and a roll of paper towel were supplied along with dish soap( no dishwasher) and laundry soap. The washer/dryer are located around the back of the home in an outdoor closet room which was nice to have the ability to wash some clothes. Parking is good with room for two vehicles. The beach is nice and has almost no one on it with small to medium waves. When it rains heavy the water gets very muddy looking from the nearby stream to empties into the ocean. I wouldn’t recommend swimming in the ocean when it gets that way. Access was easy with the touch code door lock. Not a fan of charcoal bbq, a gas one would be a nice upgrade. All and all a great place to stay and would recommend. 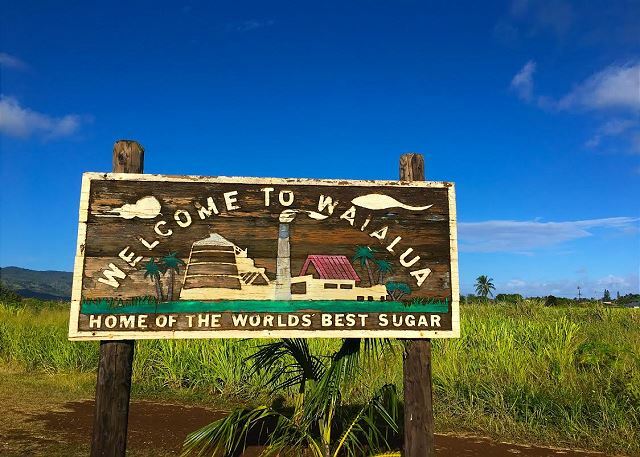 Manager Response: Mahalo for taking the time to write such a detailed review! You have described the property in wonderful detail. We are so happy you enjoyed yourselves, and thank you for staying with us. If prospective guests would like any additional information please don't hesitate to contact us. This is a beautiful little home. Very basic, but clean tidy and relaxing. The beach a little further up is a better place to swim, but we loved the seclusion and the relaxed outlook from the verandah and the backyard. Would stay here again. Although this is half of a duplex the outside is separated and private. If someone is staying next door with kids you will hear them playing (normal).The beach is very narrow and there is a lot of driftwood in the water, not good for swimming. We never could get the TV's to work, no info anywhere, no call back after we got the answering service who said they would have someone call us back. One of the best locations I’ve stayed in years! Quiet ,peaceful,beautiful! 3 steps down from the backyard and you are on the beach, we stayed 10 days and saw maybe a total of 10 people on the beach the entire 10 days! Turtles swimming in the shallows and sunbathing on the beach. House was small but clean and comfortable. 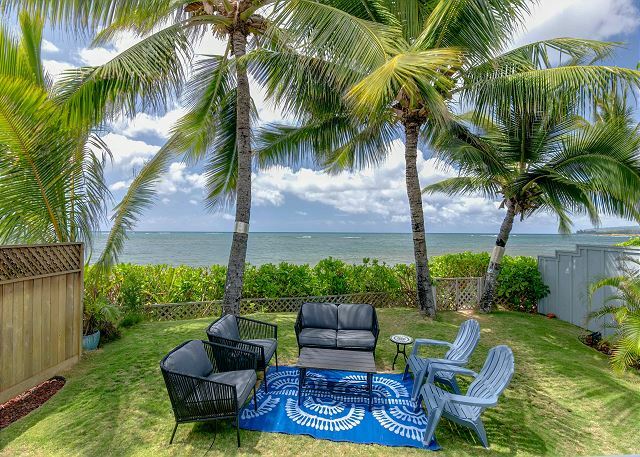 The cable TV was just OK, but who needs TV in Paradise? The location of the house was near (usually less than 10 minute drive) a lot of tourist attractions. I am definitely coming back here! I can’t wait! We had a wonderful stay here! The beach was beautiful and we loved sitting outside at night wine a glass of wine listening to the ocean:) A couple things I would recommend to make it even better would be to have somewhere to put your belonging, like a dresser or even a luggage rack to put your suitcase on so it’s not on the floor. Also a wine opener and measuring cups would be handy. I don't really want to give a review as I loved it so much that I don't want anyone else to go. Wow is all I can say this was by far my best vacation experience to date. Beach on your doorstep and a barbeque while you watch the sunset - awesome. 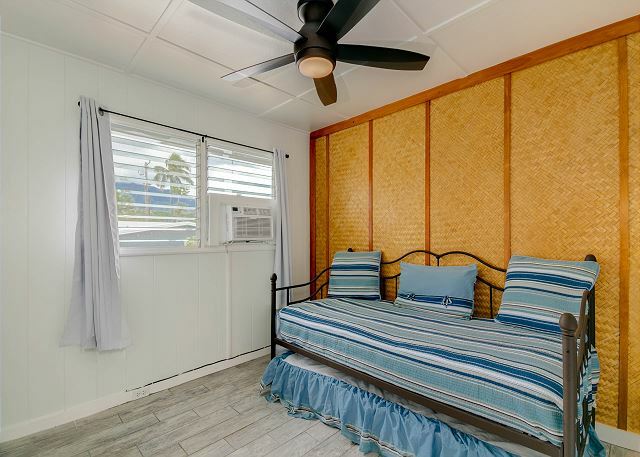 Exceptionally located, exceptionally clean, and exceptionally welcoming experience! We were a little concerned about privacy as home is a duplex, but yards are completely separate and we didnt see neighbors until last day. 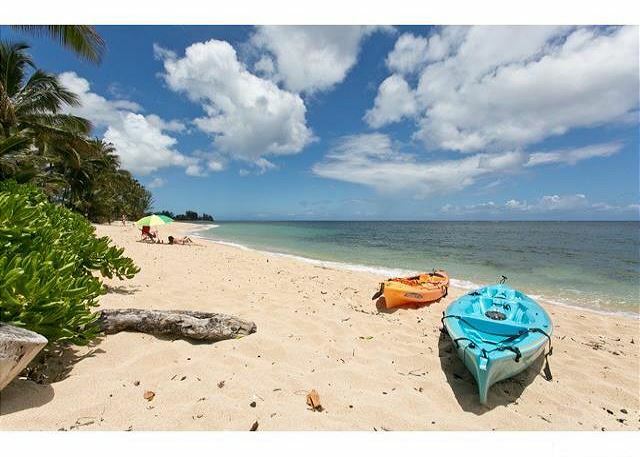 Nice spot for kayaking, and one day we swam alongside a sea turtle. Every evening folks come down to watch sunset along beach, but we never saw more than 10 or so people down the long stretch of beach, plus a few dogs and kids running around. 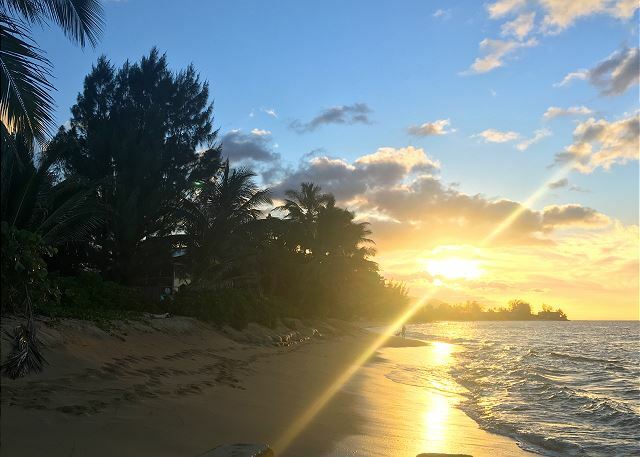 We wish we could end every evening this way. Can’t wait to come back.